18 self-portraits, collected and abstracted from the perspective of the laptop mounted on the wheelchair. Hung at the Green Bean Coffee Gallery of Occidental College from October 3rd - October 21st, 2011. Exhibited as part of Occidental Colleges "(Dis)Ability Week" - dedicating a week to raise awareness of different mental, emotional, physical, and learning differences. Curator - Danielle Caban, Cognitive Science Major, Class of 2012. Green Bean Manager, Programming and Customer Experience. 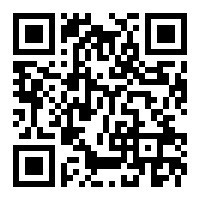 This was also the first time QR Codes were associated with my work, Danielle had printed QR labels that allowed barcode-reading smartphones to link to my web site. This made me think.